Rice industry employers and academics have opposed the draft Rice Act, claiming it would harm the Thai rice industry. The draft passed the first reading of commissioners under the National Legislative Assembly late last month. At a seminar on Monday, Nipon Poapongsakorn, distinguished fellow at Thailand Development Research Institute (TDRI), said the draft claims to reduce risk to farmers and draw a new generation to the farming sector, but gives great power to the government. "The main concern about the draft is the all-encompassing power given to the Rice Department, which is currently tasked with only conducting R&D on rice varieties and yields," said Mr Nipon, an outspoken industry veteran. The department will be tasked with inspecting whether the paddy varieties farmers sell to the market or mills are registered with the department under the new Act. He said the draft also sets up unreasonable penalties for millers and traders who buy paddy varieties that are not registered with the department. The draft also calls to move the rice production and marketing subcommittee, under the Commerce Ministry's rice administration committee, to the department. Mr Nipon said the reassignment is unnecessary as the unit is already effective. 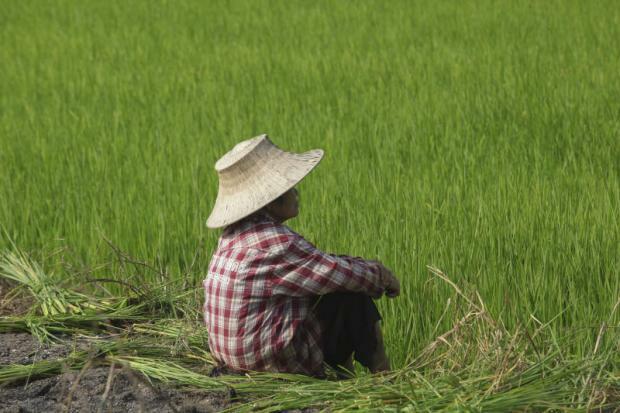 "If this draft was issued and became effective before 1957, Thailand would have possibly missed high-value rice varieties such as Khao Dawk Mali 105 rice, Khao Tah Haeng 17, Riceberry, Sangyod Rice and Tubtim Chumphae Rice," he said. "The NLA should withdraw the draft from consideration and conduct a public hearing with all stakeholders in the rice industries to form a draft that truly benefits farmers and rice industries." Mr Nipon also suggested the department's scope of responsibilities be clarified as either an R&D-focused unit or a supervisory one. "There is no need to be hasty in forming the draft, if the law is not set up under this government, it should pass to the next administration," he said. Suthep Kongmak, president of the Farmers' Association, said the draft does not benefit farmers and people who are in charge of drafting the Rice Act lack knowledge about the rice industry and how to add value to the grain. "Farmers want the NLA to cancel the draft as it does not benefit farmers and overall rice development," he said. "The draft should be frozen and not submitted for further readings." A group of farmers have also proposed that all stakeholders be allowed to participate in the draft to ensure the new Act really benefits farmers and rice development. Charoen Laothammatas, president of Thai Rice Exporters Association, said the draft focuses on penalties, and hindering rice variety development will damage Thailand's overall rice exports, eventually affecting farmers. The rice exporters also requested the NLA remove the draft from consideration. Kasem Polchan, president of the Rice Seed Compiler and Supplier Association, said the association also opposes the draft. If it passes the NLA's vetting and comes into force, rice seed compilers may be imprisoned if the seed varieties they compile are not registered with the Rice Department.